It’s that time of year again, the holidays are here and so is my holiday gift guide. It’s packed full of health conscious, hormone-friendly, and affordable gifts for everyone you love and for yourself! I love to give the kind of gifts I know will bring joy for a long time to come – and what does that more than the gift of good health? There’s nothing that says “I care” or “I love you” more than giving gifts that cherish and support the health and happiness of your friends and family. It shows deep respect and love for those around you. I also love to share the products I have discovered with those close to me. It’s like sharing a special secret for how to feel good. Remember, if there’s anything here you want to try for yourself, simply forward this list to friends, family, or your partner when they ask what you would like this year. Believe me, people love it when you make things simple for them – and they can still surprise you by picking from one of the many recommendations I have here. Support the women around you by helping them support their health. It always feels good to share body positive, health positive choices, especially when they can ignite a conversation between friends about the deeper issues of life. Let’s talk periods and hormonal health with our nearest and dearest. 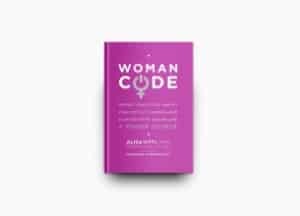 WomanCode – a bestseller for 3 years, this makes a great gift for your friends who have yet to discover how to fix their periods, improve their fertility, and make their hormones happy. Beyond Yoga Clothing – as a curvy woman, I really appreciate the body positive design and self-love mission of this brand! Use the code FLOBEYOND for 20% off all full-priced products. special code Floliving5 for $5 off your purchase for the next 2 weeks! RMS Beauty Lip2Cheek – hormone-safe cosmetics are hard to come by, especially the kind that really work and have the full range of colors and options comparable to regular cosmetic brands. 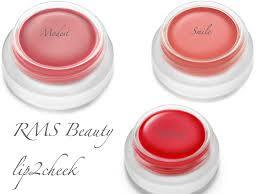 RMS Beauty leads the pack and this one-stop-color for lips and cheeks is perfect for your purse. Vintner’s Daughter face serum – this award-winning facial serum is something I personally use every night. Seriously after the first night of use, my pores were smaller, redness was gone, and my skin was firmer. My skin craves it! I notice when I don’t use it that my skin just isn’t as glowing, clear and fresh looking. Totally worth the splurge. 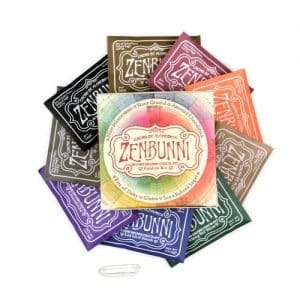 ZenBunni chocolate – I love my high quality dark chocolate and this new brand is biodynamic and flavored with wildcrafted spices, foraged berries and amazing health-boosting herbs. The cacao is carefully processed to keep all its essential nutrients. No wonder they were recently featured in Vogue. It makes treating yourself feel extra special. The Rainbow collection has a flavor associated with a different chakra and it even comes with a beautiful quartz crystal!! Crio Bru coffee alternative french roast and light roast – this is my new favorite hot chocolate alternative, a blend of fairtrade organic cocoa beans, without ANY sugar! Super fast prep in your french press or coffee maker at home. It’s a pure dark chocolate drink – have it straight or add some coconut milk and spices like cinnamon and nutmeg. Perfect for chilly winter nights or brunch at home. 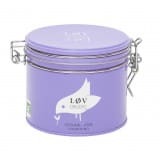 All of my Lov herbal tea collection – I have been collecting tea all of my adult life. As someone who had to stop drinking caffeine early on, I’m always on the hunt for delicious hot drinks to enjoy. 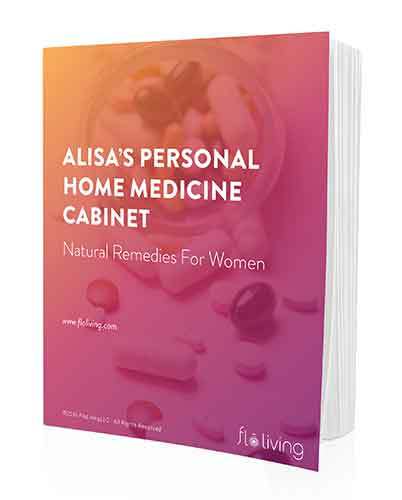 The caffeine-free set lets you and your girlfriends avoid the harmful effects of caffeine on hormonal health and get the benefits of unusual and unique tea blends like fennel-anise, linden-rose, pineapple-mint, and almond. A perfect excuse for a tea date every week. Gaia Golden Milk – I’ve shared my recipe for this in the past on the blog, but now you can get the benefits of turmeric lattes or golden milk when you’re busy and on-the-go. The year’s hottest healing drink now comes in easy, ready-to-make mix form from Gaia, with no additives. It would make a lovely stocking stuffer or hostess gift for those holiday parties. John Masters Organic Orange & Rose Hand cream – the most delicious, insta-happy scent, I keep it in my bag for the winter season to beat the dry skin with the great formulation and the winter blues with the aromatherapy. Get your man on the same page as you with these health conscious, creative ideas that gently introduce a new way of life that will make him feel, and look, good. 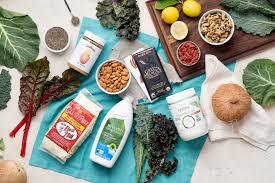 A Thrive Market subscription – this one-stop-shop for all healthy snacks and pantry items, discounted and auto-shipped straight to his door. It’s Costco style pricing on food that will keep him healthy and happy. So much easier than schlepping to the store on those cold winter evenings. Daily Burn workout streaming service – sign him up for a streaming service that delivers a whole range of workouts right to his living room. It’s hard to get to the gym when it’s snowing outside and we all tend to go into hibernation-mode. A workout streaming service like Daily Burn let’s you get much needed exercise without going out, whenever you need it. Plus, never get bored, because there’s way too many workouts and experts and regimes to choose from. Meal delivery service – get your man signed up for a meal delivery service trial. 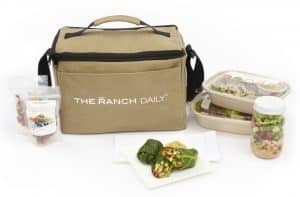 There are many to choose from, like Sunfare and The Ranch Daily that will help him meet his health goals, stay nourished, and avoid ordering unhealthy takeout pizza and chinese every night. If he likes to cook, meal kit boxes are the way to go – like Sunbasket, which lets you pick from a variety of meals the week ahead for 3 nights of perfect romantic dinners. My daughter is now just over 2 and my nieces are older, but my principle of gift-giving is still the same – I want to inspire and encourage! The Woman in Science – I love the idea of filling my daughter’s bookshelves with books that have an empowering, positive, and feminist message for her as she grows older. 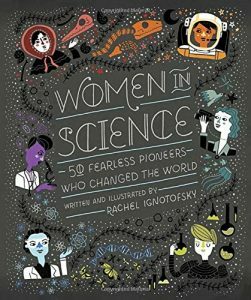 This beautifully illustrated guide to women who were pioneers in science is perfect for her to discover when she’s older. Building a library year-to-year can set up her with a perspective that will support her throughout her life. Goldiblocks – this company provides positive role models and creative projects for girls that go beyond princesses and pink. They integrate into their toys science, technology, engineering and maths principles to support the glass- ceiling crashing STEM women of the future. Roominate – for young inventors and future creators, Roominate produce building-based toy sets that allow girls to create houses, fairgrounds, vehicles and anything their mind can imagine. They encourage thinking outside of the box, no matter what’s in the box. I love these sets for my older nieces. First, which of these gift ideas inspires you? Second, which of these gifts will you buy for yourself? 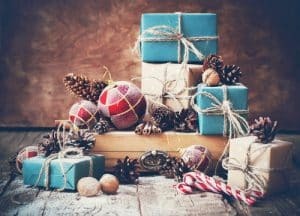 Excellent gift ideas that are always appreciated this time of year! !